When you decide you have to do something about your teeth misalignment problems it all comes down to what types of braces are best suited to solve the problem in an efficient, long-lasting, and stress-free manner. The problem with braces, sometimes, is that they don’t look nice (although the technology has evolved tremendously) and that they might be invasive due to the metal wires, screws, prongs and so on. But there are other ways to solve issues like overbite, underbite, crossbite, crowded or spaced teeth. Invisalign Lauderdale by the Sea FL braces is perfect in some situations and we are here today to explain them to you. Do You Need our Invisalign Lauderdale by the Sea FL Braces? They are made of smooth, totally transparent, flexible, comfortable, and lightweight biocompatible plastic. 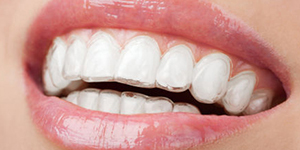 They don’t feature prongs or screws, being simply applied over your teeth – in other words you won’t have to go through the stress of having them regularly tweaked and upgraded by your dentist; as a matter of fact, you will visit your dentist less often than in the case of traditional braces (once in every 4-6 weeks). Our Invisalign Lauderdale by the Sea FL braces are made in certified Invisalign laboratories; we also have all necessary licenses to offer our patients Invisalign services. Invisalign braces are comfortable and they need little care or maintenance: your daily dental care should be enough. Invisalign braces are removable in case you need them removed and they won’t interfere with your quality of life – you will be able to smile, eat, and speak normally. What Should You Know More about our Invisalign Lauderdale by the Sea FL Services? We are a team of certified doctors combining almost 60 years of medical practice. The “stress-free” services we were talking about refer to the fact that we offer all dental services under one roof: you won’t have to get a diagnosis in a dental office, the intervention in another and the follow-up in yet another one. Once you come to us you will save time, money, and effort by receiving top-notch dental services that are tailored to suit your needs, time schedule, and budget. Speaking of which, you should know we will actively work together with you to come up with a pricing plan that is totally comfortable for you.